Squirrels are amongst the cutest of rodents and their playful antics can be extremely amusing. However, the squirrel is very destructive, the damage caused by these cute creatures and the nasty nature they possess in turn causes problems. The problems presented to humans should therefore not be underestimated. Often a squirrel will chew its way into a garage or attic area where they will then nest, store food or in some instances both. 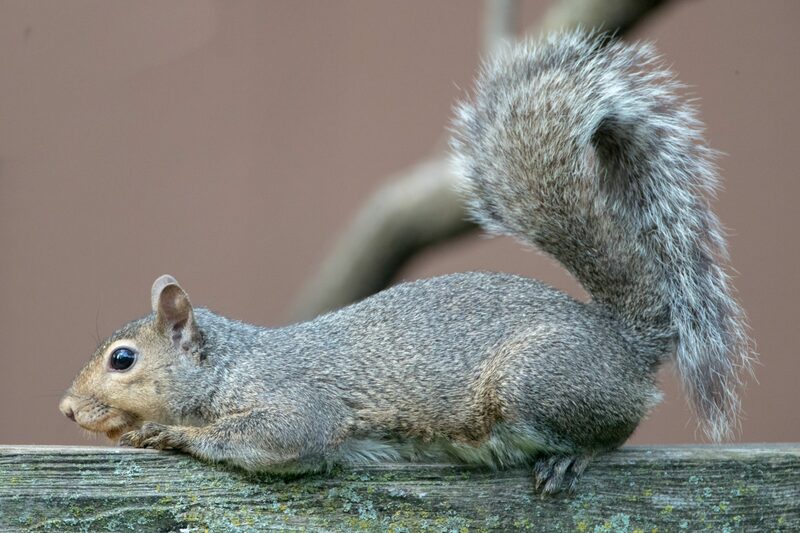 Squirrels are not only destructive but they tend to be noisy as well, in fact they actually snore. Squirrels not only damage the building structure but will also damage insulation if they gain access to loft areas. In Britain there are two species of squirrels the smaller native red squirrel and the larger grey squirrel, introduced from North America. Over the past 100 years the grey squirrel has displaced the red squirrel. Whilst red squirrels seldom achieve pest status and are protected by law. The grey squirrel causes considerable damage and are considered as pests. Prevention is always the best option when dealing with rodents and therefore certain steps should be taken when faced with a potential squirrel problem. The first of these is to trim or remove branches of trees which are within seven to 10 feet from the roofs of buildings. Squirrels are accomplished at jumping and this prevents the squirrels from jumping from the tree onto your properties roof. Bird feeders are an attractive food source for the squirrel and therefore these should be removed. Whilst squirrels should hibernate they can be seen throughout the winter months. Methods of controlling squirrels consist of shooting, trapping using cage and spring traps and the use of poison baits. If you have a squirrel problem please contact us. One of our fully qualified BPCA Surveyors will undertake a free of charge, no obligation survey to advise of the best method of dealing with the issue.